THE AMARIT GROUP OF COMPANIES was founded in 1970 by Captain Amarit Visuddhidham and since that time has had a part in almost every well drilled in Thailand.The company is named after Captain Amarit Visuddhidham and his business partner, Khun Pravat Sangsuphan, who began providing services to foreign oil and gas companies when they first came to Thailand to participate in the 1st petroleum concession.We were among the first few agencies established when the oil and gas sector started in Thailand.The services provided to clients at that time were feasibility studies to support the setting up and operation of companies and the services they would require, such as customs clearance and immigration, labour contracting and serving as the oil concessionaires' representative to government offices and ministries. To date, we have expanded our services to yard, office rental and warehouse rental, transportation (trucking/haulage), as well as heavy equipment and vehicle rentals. To support these, we maintain offices in Bangkok, Songkhla and Sattahip. 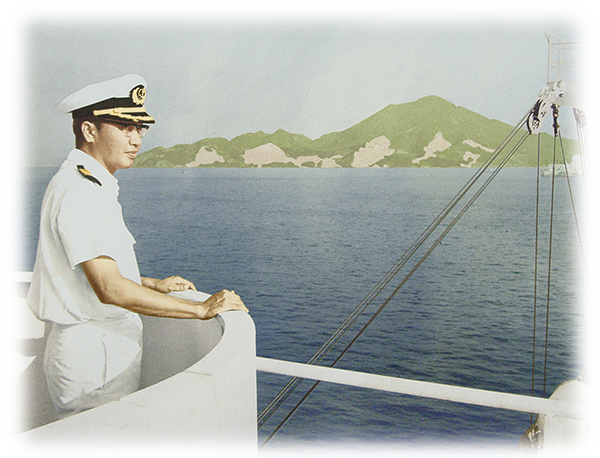 After graduating from the Royal Thai Naval Academy in 1944 and serving as an officer in the Royal Thai Navy, he embarked on a 20+ year career operating commercial vessels in the Thai Merchant Marine. Upon retirement, he established Amarit and Associates Co., Ltd. and her sister companies where he served as President of the group of companies until his death in October 1985. He was the brains of the company and the one who exploded into the oil and gas industry in Thailand: He had the ideas and laid all the plans for logistics, manpower, and all the support services that made Amarit a one-stop provider for every client’s needs. He was the marketing man and face of the company. Wife of Captain Amarit and backbone of the company, she was Chairman of Amarit and Associates Co., Ltd. and the Amarit Group of Companies. She attended Chulalongkorn University where she majored in Accounting then went on to pursue a highly successful career in banking. Upon retirement, she joined Captain Amarit in setting up the company and sourced the funds necessary to start and support the new business. She served as Chairman for 42 years, until she passed away in December 2012. After attending the Royal Thai Naval Academy, he served on merchant vessels then worked for the Harbour Department before joining Amarit as Senior Vice President in 1973. He was the right-hand man to Captain Amarit and the one who put all the plans into action, followed up to see that things got done right, and ran the operation. He served until his retirement, then passed away in 2004. He is the current Executive Vice President - General Manager and CEO of the Amarit Group of Companies. A graduate of Chulalongkorn University’s Faculty of Commerce and Accountancy, he majored in Cost Accounting and has a Master ‘s degree in Economics from Middle Tennessee State University, U.S.A. Trained by Captain Amarit and Captain Pravat, he carried on with the plans the founders had laid and to this day upholds the ideals by which they lived. He has served with Amarit since 1978, during which period the company has grown from a tiny start-up in Songkhla to the Amarit Group of Companies with its own state-of-the-art headquarters in Bangkok with expanded and multiplied bases in both Songkhla and Sattahip.